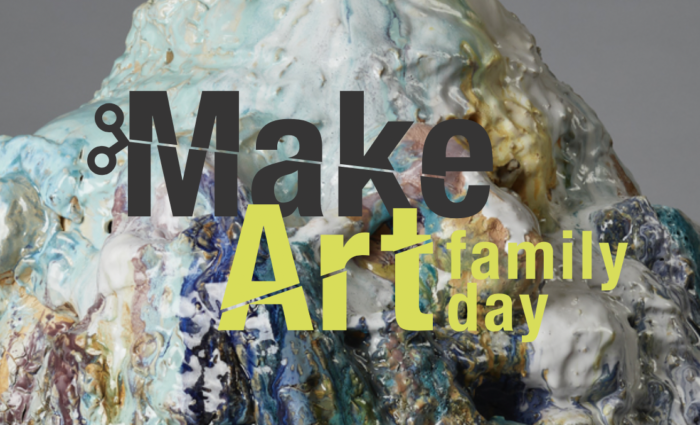 Please join us for a special MakeArt Family Day in the parklet! On this month’s first Saturday the MCD galleries are in the midst of exhibition deinstall– so the hands-on fun is moving outside! Get a sneak preview of the materiality and techniques that will be on display in the upcoming exhibitions, Wanxin Zhang: The Long Journey and Material Domestication. Explore quick figure sculpting and create a series of felted pom poms. PLUS: Explore the neighborhood to discover more 1st Saturday in Dogpatch offerings!